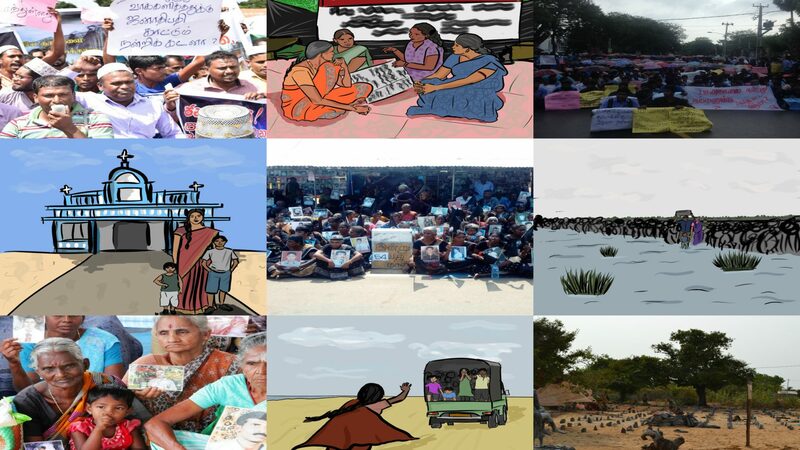 'Stories of Resilience' is a project by the Adayaalam Centre for Policy Research (ACPR) that aims to document and share stories of strength, courage and resilience of Tamil communities before, during and after the armed conflict. ACPR intends to preserve these stories for current and future generations of Tamils in Sri Lanka and the Diaspora as part of a broader conversation about Tamil identity. This project aims to contribute to efforts around the world to document and share stories of Tamil survival, by documenting stories of those who still live in Sri Lanka and continue to persevere. "Stories of Mullivaikkaal": This series presents alternative narratives from survivors of Mullivaikkaal which does not narrow their lived experiences to helpless victimhood but rather promotes and accepts their agency. We hope that this series will raise awareness about the struggle and resilience of the survivors of the last phase of the war and broaden the conversation about assisting those who suffered mass atrocities during the end of the war. "Stories of Vaharai": This series presents a variety of narratives from Tamil individuals who have survived the war in and around the Vaharai region in the East. We hope that this series draws attention to the often overlooked ongoing plight faced by Tamil communities in the East, and the significant trauma they have experienced. Please sign up if you would like to be notified when new content is added to the website on the righthand side of this page.